I have been asked a lot on what camera to use or what brand is the best one to buy. Honestly that’s a real tricky question as there are a lot of factors to consider. Being one of the Olympus endorsers in the Philippines I may give a biased answer in a fly so I don’t want to give a specific brand. Here’s an article I wrote for a magazine at least a year ago which I think is still relevant at this time. Since that Magazine never saw the light of its second issue, I might as well publish it here with a few changes to adapt to time. Hope this one helps. We call it the “Happy Shot” — that one single photograph amongst the many attempts that captured the perfect moment. It may be the perfect smile on a portrait. The best light on a landscape. Or that unexpected candid action on an event. It’s what every photographer yearns for. The sheer pleasure of taking home the shots that you would be proud to hang on your wall, post on the internet and show off to your friends. 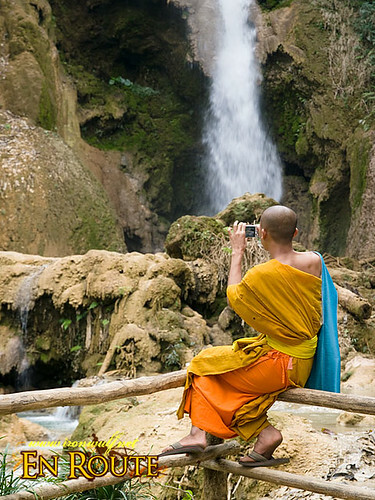 Your quest for your own “Happy Shot” begins with getting the camera that’s right for you. Know your Objective. It is a great time to get into photography with of the huge selection of cameras to choose from on a wide range of prices, but this also makes choosing the right equipment confusing. So how do you pick the right camera for you? The best way is to know your objective first. Will you be shooting people, events, sports, landscapes or travel? Choosing a Camera. Shooting Sports, requires a camera that can shoot fast at least 5 frames per second. Landscape Photography captures rich details on a vast panorama and cameras that is capable of capturing those minute details in a scenery. Event Photography like weddings, parties and concerts requires cameras that can shoot images in various lighting conditions including dim-light low lighting. Wildlife photography calls for cameras that can zoom in from afar while Street Photography calls for cameras with stealth and unobtrusive as not to intrude on subjects. For general shooters, most entry-level cameras which are trimmed down in features and price are all capable. Digital Single Lens Reflex. An excellent tool to use in learning the basics since it has manual controls and interchangeable lenses to suit different purposes. 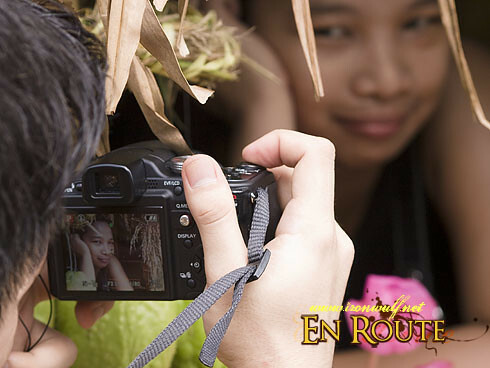 The cheapest entry level DSLR kit comes with a basic lens and can go for as low as Php 25,000. Be ready to build your selection of high grade lenses because in time you’ll outgrow the basic lens that came with the kit. But this also means you have to be ready for the bulk and weight to get those images. Mirrorless Interchangeable Lens Cameras. The new format initiated by Olympus and Panasonic called Micro Four Thirds did away with the traditional mirror mechanism to make them lighter and compact compared to DSLRs. And now this is a fast growing market with Samsung and Sony following with their own versions. They are small and versatile. For a small package, the quality is in par with regular DSLRs. But like DSLRs be ready to invest on good lenses to get the most out of it and their lens line are growing fast yes still on a premium price being new. Advance Point and Shoots. These are compact cameras that have manual controls with fixed lenses that are versatile and powerful enough to deliver quality images. Panasonic LX5, Canon S95, Olympus XZ-1 and Samsung TL500 are some of the cameras in this line. Key advantage is they are easy to carry. Picking the Pixels. Images from digital cameras are made up of pixels. And the more megapixels, the bigger the print. Unless you’re going to print for large billboards, 10-12 megapixels are enough for most use. Don’t be too blinded with cameras with a whopping number of megapixels, it will just eat space on your hard drive. Less is more. Buy only what you need. It’s easy to get excited when buying gears but ask yourself first if you’ll be able to use those gears. For cameras, you’ll get better value on good condition second hand camera bodies. Quality lenses are an investment since you can retain them even if you change camera bodies. Get Comfortable. The main thing to remember when choosing your equipment is that you should be comfortable with the camera controls and features that fit your shooting style and objective. We often hear the saying “It’s the Indian not the Bow and Arrow” but in truth it should be both. The Indian may do the shooting but it also helps if the bow and arrow is in good condition. To make it simple, when shooting you shouldn’t be struggling with your camera, you should be at ease with the camera in hand. Learn the Basics then Break the Rules. Point and shoot, shutter speed, aperture priority, ISO and composition. If those terms sound alien to you then better get started on the basics because these are the elements you mix up to get the desired exposure. One easy way to learn photography is to attend workshops and learn from professionals. Workshops are a great way to learn techniques and shooting styles but don’t get too lost in the technical aspects that you lose out on the artistic side. Ultimately, it is a creative eye that will spell the difference between a striking image and a technically perfect but less impressive capture. In the end there is no single “Right Camera” but there is a camera that may be right for you at the moment. Don’t you think? This article doesn’t answer the question well. It is the general stuff that doesn’t help anybody. Of course you need to be able to take pictures, compose and understand the programs of a camera. It is better to invest in a very good lens than in an expensive body. A prime lens stays “forever”… a body needs to be changed every 3 or 4 years. It is better to own only a few prime lenses than carry a whole bunch of them. HI Sidney! Thanks for your input but again you are putting brands and labels into the mix which I’m avoiding, can everybody afford a Leica? It’s a niche market for the rich. If One is comfortable and can buy that then that is the right camera for him. The point of the article is for the reader to dig deeper and do their own exploration with no specific brands in mind. Like you may like the lenses you mentioned but those ones are not what I would need. Since I only have limited number of words in the article say max 900 words, I can’t be too specific. I can write a book on this whole topic if I want to be specific.